Ashley and I hosted a fall picnic for our church on Sunday. It was a good time, that I am sure I will tell you more about this week, but first, check out the adorableness that was our centerpieces! That is cute right? Oh and side note -- if you put candy corn in a carved out pumpkins that you spent about an hour on the night before without a liner, by the time you take it home the candy corn SOMEHOW turns into candy soup. I'm talking a liquid here people! very pretty. I bet you had a really good time. How is it, I'm gone less than a week and your blog as a whole new look! I am so behind! Super cute!!! Maybe the pumpkins need to be rigged with a bowl inside so the don't get mushy. I took a floristry class once, and we made arrangements inside pumpkins and we had to put something inside the pumpkin to hold the water. Yeah, there was a plastic baggie inside each that I had put in there for the candy, but I guess when whoever filled them did, they didnt see that the baggie was so the candy didnt touch the pumpkin, it was still adorable, and the candy didnt get mushy for about 6 hours, so it wasnt too bug of a deal, I just couldnt believe the grossness when I got home! ick! oh and to the wife, I just swicthed to a new tamplate, I dont really like it though...im just not sure I actually want to pay someone to design it for me you know? Im just a little blog out here in the blogosphere! 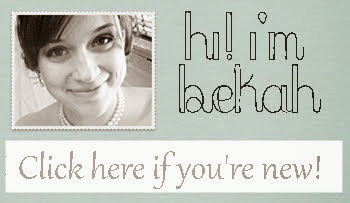 And the banners, I make those myself...its fun and its a way for me to personalize it a little! Before i got to the end of your post i was thinking "Hmmm...i wonder if the candy corns got mushy in there?" LOL BUT damn it looked so adorable! Thank you so much for the kind comment on my neighbour nonsense as well!